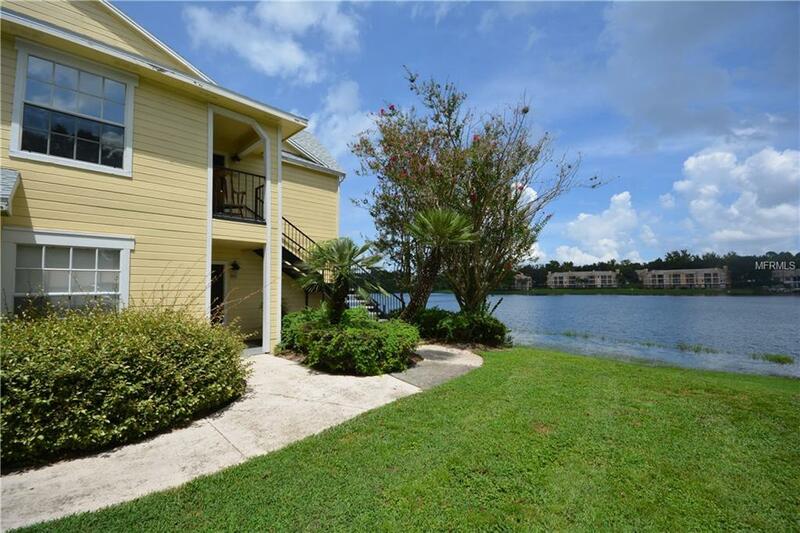 Waterfront two-bedroom, two-bath ground floor condo located in the Tradewinds community of MetroWest. This 934 sqft unit features 2 new bathrooms! Both bedrooms are large and have spacious walk-in closets. The kitchen, with its full suite of appliances, opens nicely to the living-dining room and has a spectacular view of the pond. Sliding glass doors lead to a private, screened patio overlooking the pond - the perfect spot to enjoy your morning coffee or evening beverage. There's also a storage closet on the patio. Washer and dryer included and are located inside the unit. Residents can enjoy the use of two pools and heated spas, a fitness center, racquetball and tennis courts, and walking trails. Additional amenities include a lakeside gazebo with barbecue grills and picnic areas. Located minutes away from restaurants, Valencia College, shopping and all the major theme parks. Great income producing property or for first time home buyer. Low monthly condo fee which includes water/sewer.